Developed exclusively for Hammacher Schlemmer, this is the non-slip 100% genuine U.S. cowhide leather arm rest that provides an end table’s functionality without requiring the space. Six 2"-deep pockets—three on either side—organize remotes, game controllers, pens, magazines, and more while its 11" L x 5 1/2" W top tray provides a stable, flat surface for a drink and snack. 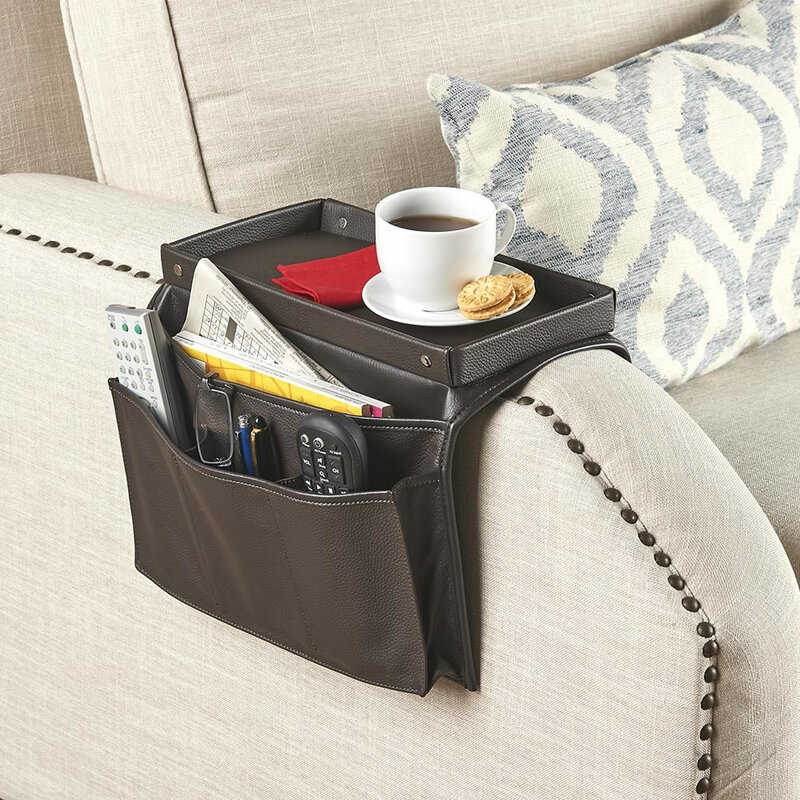 Flexible wire construction beneath the top-grain leather exterior fits most arm chairs or couches and its non-slip underside ensures it stays where you want it at all times. Brown. 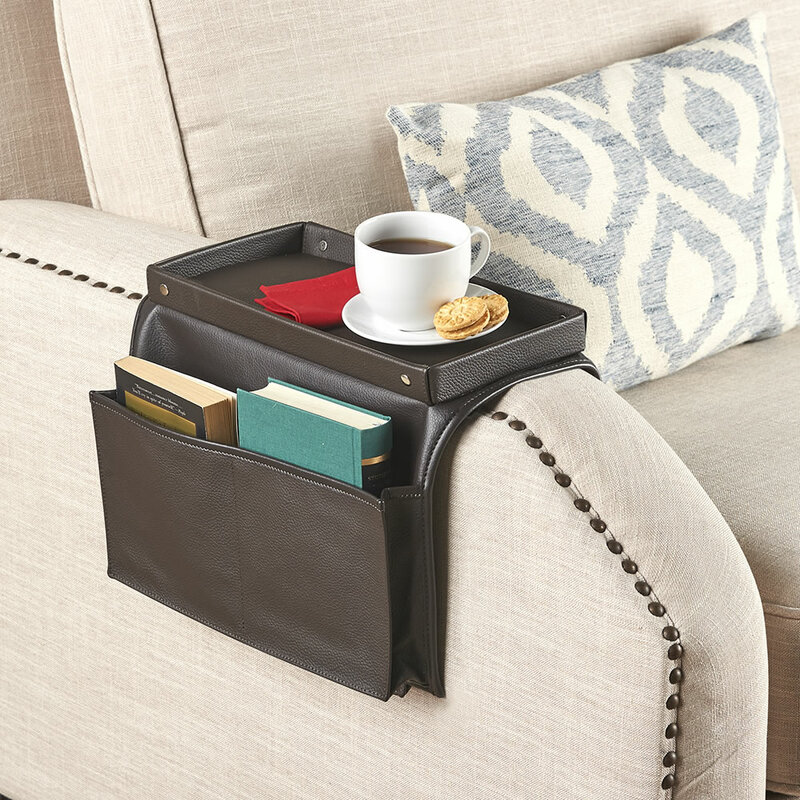 22" L x 12 3/4" W.
The Leather Arm Rest End Table comes with The Hammacher Schlemmer Lifetime Guarantee. Items that we sell are guaranteed for their normal life under standard non-commercial use.